I wanted to let you all know that I am still releasing my latest work as singles. So far, I have released two of them: ‘Made in the Shade’ and ‘Backsliding Again’. Also, as some of you know, I have decided to stop touring- but will continue to create music as a hobby from home. You can also keep updated from my website . One of the most powerful artists on the blues scene, Shawn Pittman has it covered on every level: singer, guitarist, songwriter, performer, and producer. Born in 1974 in Talahina, Oklahoma, the then-capital of the Choctaw Nation, and raised outside Oklahoma City, in Norman, Pittman got an early start in music. Inspired by the boogie-woogie piano stylings of his grandmother, and by his grandfather’s guitar picking, Shawn took up piano at age eight, following that with the drums, before concentrating on guitar at 14. Introduced to the blues by lifelong friend Bracken Hale, who to this day remains a regular co-writer, Pittman quickly progressed through Jimmy Reed’s rhythmic foundations to Albert King’s lead guitar style, along the way absorbing the approaches of touchstone artists like Magic Sam, Otis Rush, Buddy Guy, Muddy Waters, Hubert Sumlin, Jimmy Rogers, Lightnin’ Hopkins, Frankie Lee Sims, the Vaughan Brothers, and Albert Collins. He can also discuss and reproduce the styles – and the dustier corners of the catalogs – of such artists as Lowell Fulson, Jerry McCain, Lazy Lester, Robert Nighthawk, Chuck Berry, Hound Dog Taylor, and Ike Turner. 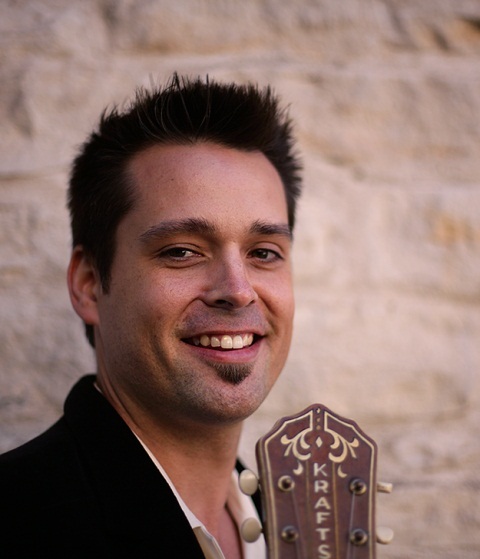 Acknowledging Shawn’s talent and determination, his parents allowed him, at 17, to move to Dallas and pay his dues in that city’s thriving blues scene. His uncle took the underage artist to clubs where he could sit in. Although Pittman considers his time performing in the bands of Mike Morgan and Hash Brown as invaluable experiences, James Brown could have had Shawn Pittman in mind when he sang “I Don’t Want Nobody To Give Me Nothing–Open Up The Door, I’ll Get It Myself.” Pittman financed and produced his acclaimed first album, drawing the attention of Cannonball Records, which optioned and re-released it as Burnin’ Up. The same label issued Something’s Gotta Give in 1998. Intensive touring and a stint in Susan Tedeschi’s band, including an appearance on national television, followed. After Cannonball sank, Pittman moved to Austin, and, backed by the famed Double Trouble rhythm section, released his third long-player, Full Circle, on his own. He followed it in 2004 with Stay, a bold, wide-ranging project that explored Americana, soul, and rock styles. Discouraged by the business and recognizing that a break for personal reasons was in order, Pittman withdrew completely from music in 2005. But a straight job proved ultimately to be unsatisfying, and in 2008, he returned to stage and studio. Having learned the hard way that talent, songs, looks, and dynamite performances are not automatically rewarded in equal measure with success, Pittman resolved to bear down, give 110%, and work hard enough to make his own luck. He wrote and released the strikingly original albums Meridian (2009) and Undeniable (2010), while coordinating the issue of a best-of compilation and a live album in Europe, as well as a house rockin’ trio project recorded with Austin’s excellent Moeller Brothers. In 2011, Delta Groove released the superb Edge Of The World, a truly hand-made album that Pittman penned, arranged, performed, and recorded himself, in his home studio, to universal praise. Pittman is the rare artist who intuitively balances genuine creativity with a deep reverence for those who paved the way. “There just aren’t people around anymore that can do things like Howlin’ Wolf or Guitar Slim or Albert King did,” he says. “Those guys created their own thing and had people playing with them who played that stuff naturally. We will never see that again. The only thing to hope for is that musicians will still discover those guys and continue to be influenced by them.” Extending that tradition in a meaningful way is at the core of his work. Accompanied by the stellar rhythm section of Willie J. Campbell and Jimi Bott, Pittman recently recorded his eleventh CD, of which he says, “It is by far and away my best stuff ever, and I want to be careful with what I do with this one. Whether artists do their own material or not is way too often overlooked, especially in blues. By the time I finish this new record, I will have written and recorded about 90 original songs. I still believe that I have what it takes to transcend genres, not just maintain the status quo.” Today, he is at work mixing tracks in the midst of a schedule that finds him performing regularly in Europe, California, Texas, and across the Southwestern and Midwestern states, and is currently booking festival season appearances. Do not miss Shawn Pittman when he appears near you.